Have you ever seen a Christmas tree with blue leaves? 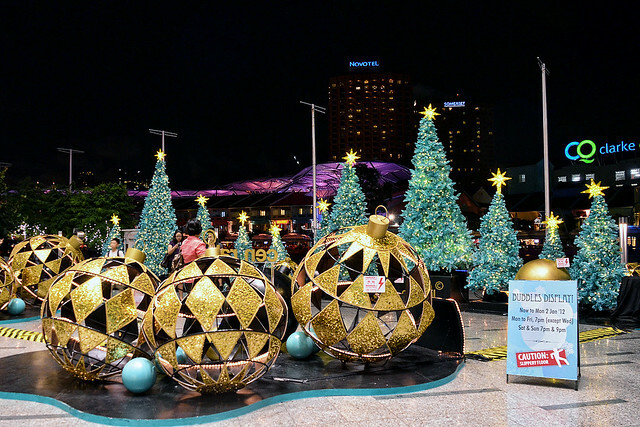 If you head to The Central (Clarke Quay) this Christmas, you would be welcomed by several blue trees at the mall’s entrances, flanked by large glittering golden baubles. I really dig the shade of turquoise on these trees, with the golden stars at their tips as the icing on the cake. 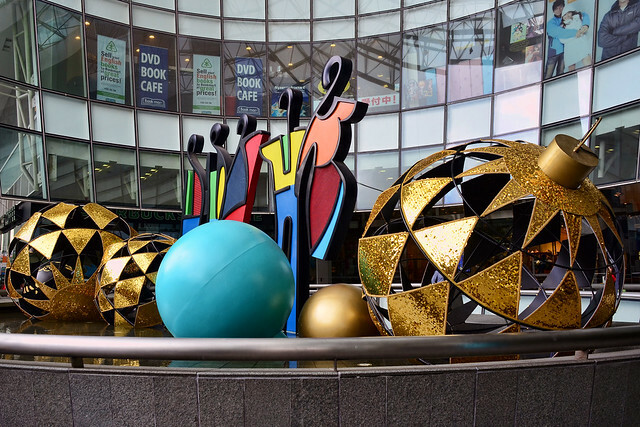 For those of you who have been following our Christmas Tree of the Day series in recent years, you would have noticed that The Central has displayed several unusual and sci-fi looking trees during past Christmases. 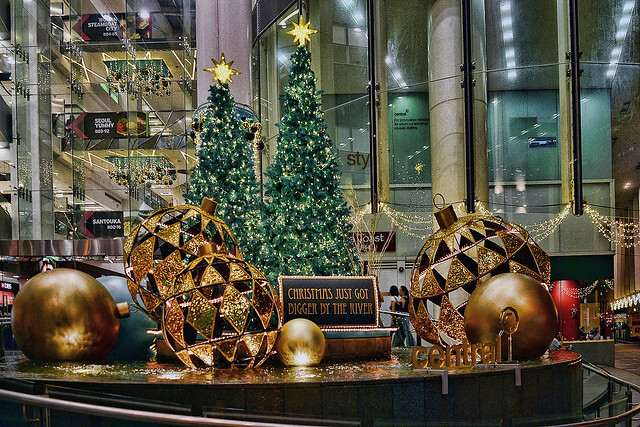 In fact, they had a blue Christmas tree in 2010, too. 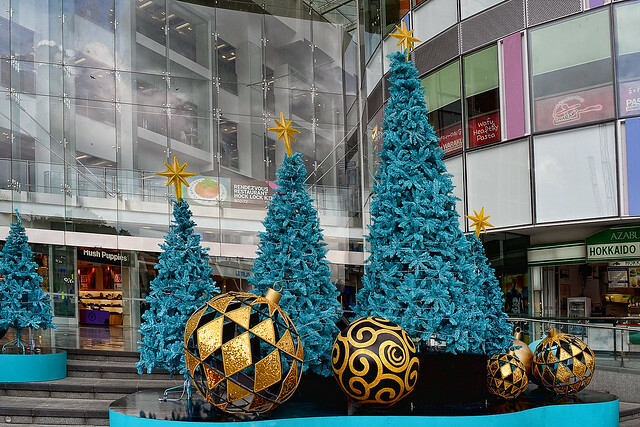 While we’re on the subject, here’s another amazing blue Christmas tree at West Coast Plaza from 2008.